Last summer I took a short vacation with my family to Orlando, Florida so we could visit Universal Studios for a third time. Even though we had already visited both parks, Universal Studios and Islands of Adventure, we had not seen both Harry Potter rides and that’s one of the things my 11 year-old niece had on her bucket list. I’ll begin our amazing vacation review with our flight. It was simply awful. 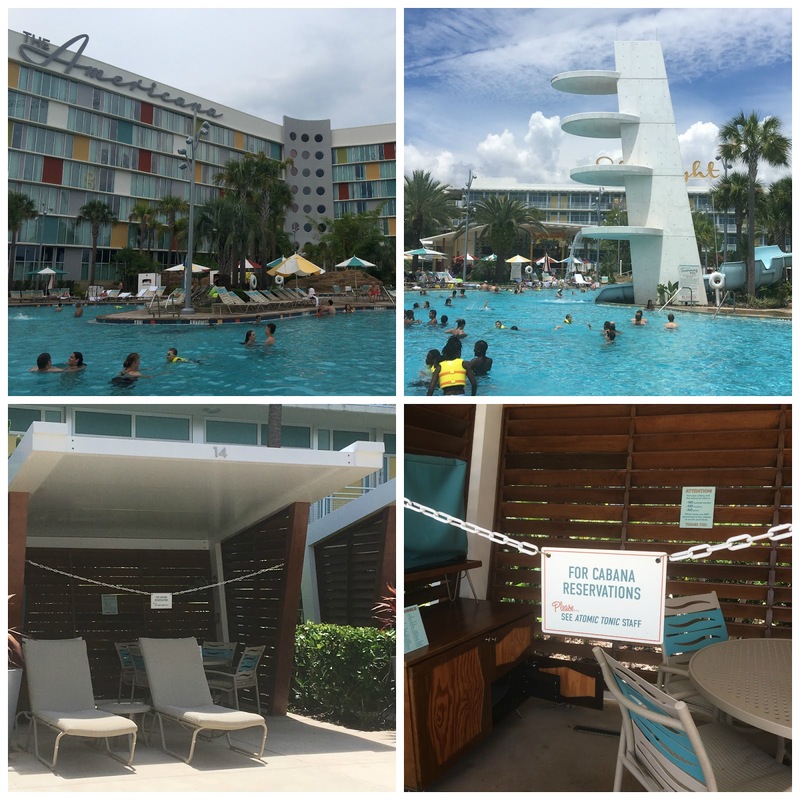 We chose to fly Frontier Airlines from Denver, Colorado to Orlando because for one, it’s affordable, both flights were direct and we had flown them before with no issues… until this trip. Little had I known that they did a complete overhaul of their planes and had changed their seats to the most basic and uncomfortable plane seats you could ever find. They’re just a piece of plastic covered in pleather, no reclining options, basically no arm rests, and a very small tray, which to be honest, is so useless that you never use it. 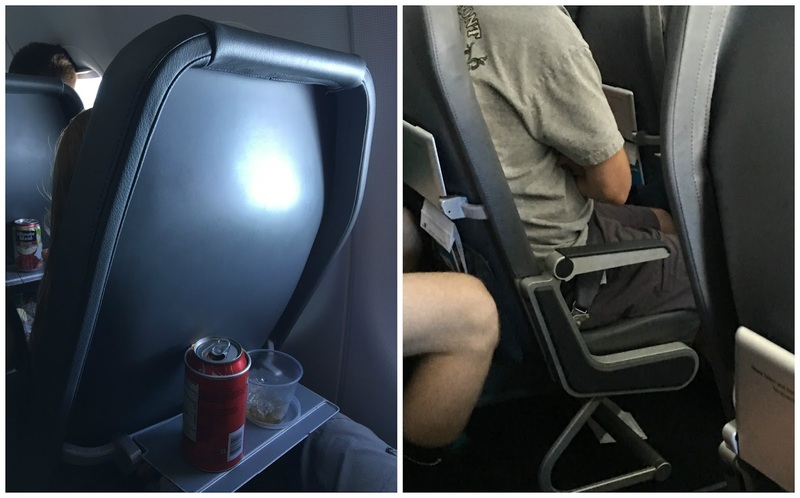 I had heard about this type of seating arrangements before from people who had flown Spirit Airlines but I had no idea that Frontier had done the same. Had I known this, I would have paid just a bit more by choosing a different airline. And don’t even get me started on their horrific customer service because if I do write about it, this blog post would be twice as long. Let’s just say that I will never fly with them again. Lesson learned. Last year for some reason we rented a car through Fox Rent A Car and were very disappointed to find out that the total they had quoted us online was not the total we were asked to pay at the counter, so we ended up paying a couple of hundred dollars more. Had we known this ahead of time we would have chosen a different car rental company, which is exactly what we did this year. This time we rented our car through Alamo, mainly because we had used them before on other trips and were very satisfied with the price and service. See what happens when you’re not upfront with the total cost? You lose a customer. And yes, I’m talking to you Fox Rent A Car. 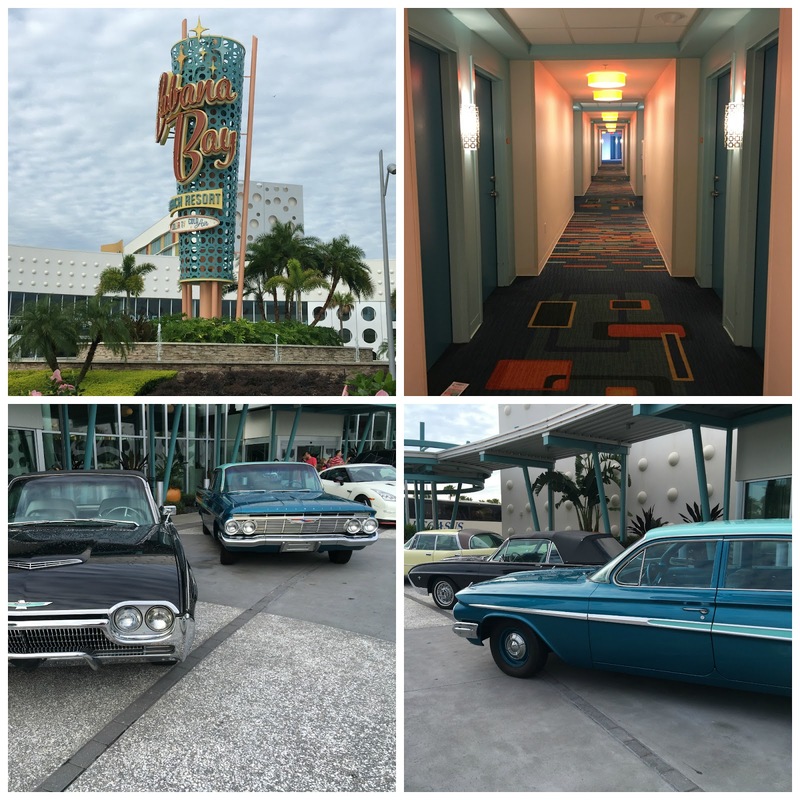 The last time we visited Orlando we stayed at an apartment that we rented through VRBA, and even though it was a fine experience, this time we wanted to stay at one of the Universal Studios resorts. 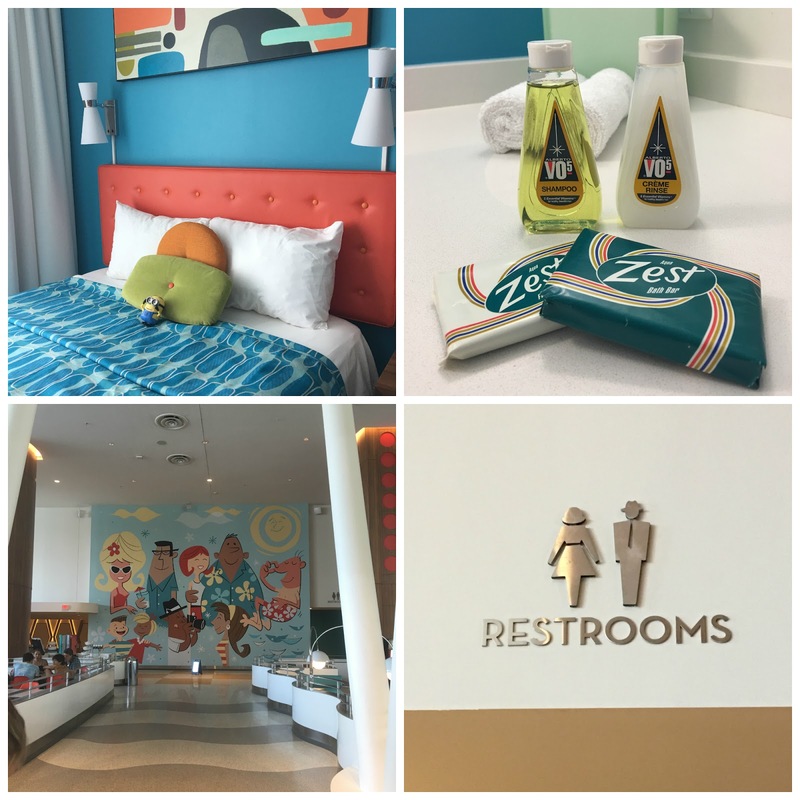 We ended up choosing the Beach Cabana Bay Resort for several reasons. It was close to the park, it was reasonably priced and the pools looked incredible. You have no idea how glad we were to have stayed there because we had an awesome time! The resort is absolutely fabulous. From the moment you walk in you feel like you’re in a time warp. 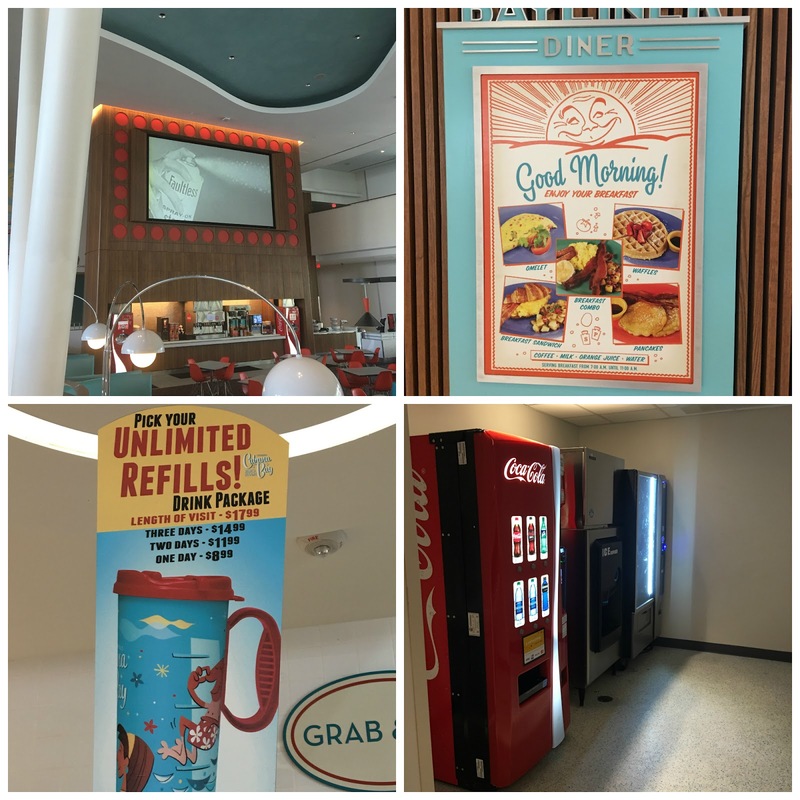 The lobby, the restaurants, the pool, the hallways, the rooms are all fully decorated in a 1960s vibe. The dining area has two giant screens were they constantly play old school, black and white footage of what life might have been back in the day and they are always playing music from the era as well. Like I said, the pools were amazing. On one side of the resort they have a big pool with a nice slide that my niece really liked. And on the other side of the resort, which is the side we liked the best, they also have a big pool along with a lazy river. They sell pretty inner tubes for you to purchase for the lazy river, but you can also bring your own and have the guys who work there inflate them for you for free. The food was your standard cafeteria food, which was not that bad, in my opinion. For breakfast they have pancakes, waffles, eggs, bacon, sausage and healthy options like fruit, yogurt and granola, among other things. Lunch and dinner were also pretty standard, with your typical burgers, pizza, hot dogs and spaghetti as some of the options. Another great perk was that we had the privilege to go to Universal Studios 2 hours before they opened the park simply because we were staying at the resort. This gave us the chance to get on the Harry Potter rides with almost no lines! It was in-cre-di-ble. Oh! And they also have free shuttles constantly going to and from the park so if you get tired and want to take a break, you can go back to the hotel and come back later in the day.